Leah Aronowsky is a PhD candidate in the history of science at Harvard University who served a term as resident scholar in SCARC this past August. 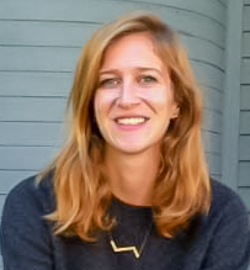 Her dissertation focuses on the concept of steady-state stability in the postwar American environmental sciences. At SCARC, Leah examined efforts in the 1970s to develop ecosystem screening, advance the field of ecotoxicology, and introduce the meaning of environmental risk in the post-pesticide age. A particular focus of her work was DDT, a pesticide with detrimental consequences that can extend to an entire ecosystem. In particular, DDT has a tendency to persist in the body of organisms for long periods of time, eventually working its way up the food chain with deleterious outcomes. In the 1950s, the use of DDT – which was embraced by farmers – underwent a five-fold increase. By the early 1970s, the negative effects of DDT had become more pervasive, forcing researchers to contend with this growing environmental threat. As they did so, scholars also began to highlight the need to construct a new method of evaluating chemical hazards, such as a screening system, that would reveal the relationship between a pesticide and an entire ecosystem. The ecological microcosm is a mode of thinking that emerged from the post-DDT age. In this context, a microcosm is a small scale ecosystem that comprises different flora and fauna, and that contains a set of processes that can be intrinsic to all ecosystems everywhere. It is a lab-based tool that researchers believed would empower them to amplify chemical and biological processes, with potential applications in screening tests for the effects of pesticide use. In the late 1970s, the Environmental Protection Agency was established to monitor air and water quality at a national level. In its early years, the EPA depended rather heavily on two pieces of legislation passed by Congress: the Federal Insecticide, Fungicide and Rodenticide Act and the Substitute Chemical Program. During this period, DDT was banned and four regional EPA labs were tasked with addressing the pesticide problem. Researchers at each of these labs identified the microcosm as a vital method for detecting substitute chemicals and they set out to develop a standardized model that could establish a balance between the pesticide industry and the EPA. One of the four EPA labs was based in Corvallis and was charged with administering the Substitute Chemicals Program. One of the Corvallis-based scientists, James Gillett, developed a microcosm ecosystem module for pesticide testing. About a year into the program, Gillett’s team ran several trials with this microcosm to make sure that each element functioned properly before initiating any pesticide screenings. They quickly ran into a problem with voles that had been built into the microcosm and which brought a degree of unpredictability that was unacceptable in terms of experimentation. (The team finally concluded that nature refuses to be simulated.) Ultimately, the Substitute Chemicals Program at Corvallis proved to be short-lived. Although researchers identified possible substitutes for a variety of banned pesticides, many of the substitute chemicals themselves were also in consideration to be banned by the EPA. Although enthusiasm for the microcosm faltered, it was later reinvigorated by new legislation that required the testing of chemical product safety in terms of its effects on both human health and the environment. This, along with increased EPA funding, led new researchers to begin innovating with the microcosm. For instance, instead of constructing microcosms from scratch, the Soil Core Microcosm consisted of materials harvested directly from the field and focusing on a single area of an ecosystem. This new form of the microcosm was endorsed by the EPA and continues to be explored today. 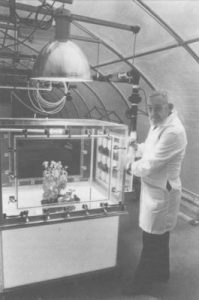 Looking back, the early, general form of the microcosm was plagued by failure in both detecting chemical effects and as a pesticide screening device. The lab and field exist on a spectrum, and the microcosm, which is a hybrid of the two, is stuck in the middle, meaning that the significance of place is lost in the device. In its failure, the microcosm demonstrated that there is something intrinsically valuable to specificity and scale in ecosystems. This entry was posted in Main Page and tagged DDT, Environmental Protection Agency, Resident Scholar on October 2, 2017 by dvoraka.